Today (2/14) only get these Blu-Toque Bluetooth Assorted Beanies for only $19.99 (Retail $49.99)! The Blu-Toque is the ultimate wearable device for enduring the harsh winter in today’s mobile world. 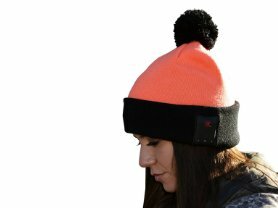 Take calls and listen to music right from this innovative winter hat. No more headphones, no more wires. Carefree and wire-free, this dual-layered beanie not only keeps you warm—it keeps you connected. Blu-Toque is universal—it works with any Bluetooth device.